Located at the bottom of the Cervantes Park, near the Promenade Espolón with which board, in a privileged enclave in the center of the city. Its origin dates from the 16th century, when once passed the Middle Ages, the experimented its greatest splendour and it was then when it was promoted to build out of the walls the primitive shrine. It was the Vera Cruz brotherhood, whose aim was to give a Christian burial to the convicts executed in the city and to organize the Processions during Easter, who ordered to build it; The City Council at the time also contributed to its construction with 13,300 maravedis according to the Minutes Books. The spot where it was placed, former Saint Andrew's meadow, Boyal pasture land and current Cervantes park, was just a small sanctuary at the entrance of the city where people of the area use to pray to the "Santo Cristo del Humilladero" the brotherhood placed on its interior, on the market days. 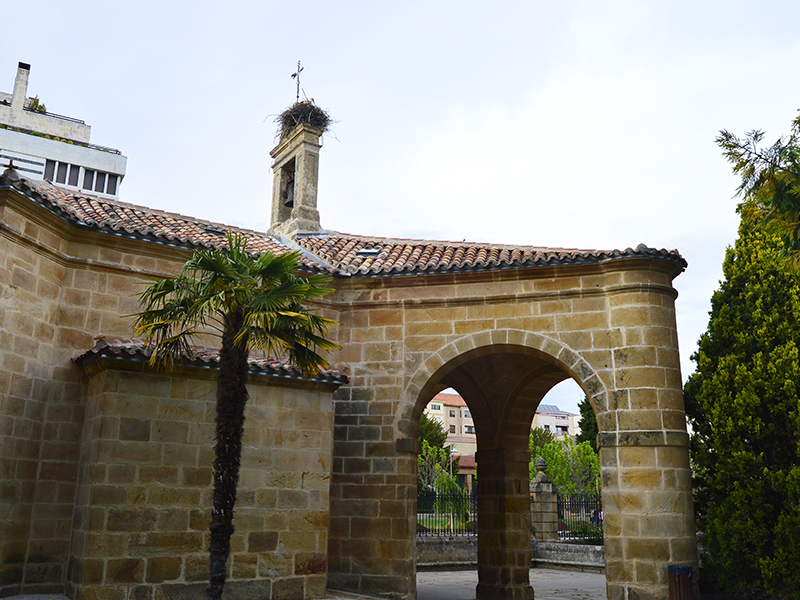 Years later, the Condes de Gómara, at the same time their new Palace was being built, fuelled its enlargement. Finally, this Hermitage got the name of Our Lady of La Soledad, even if the image of Virgin Mary does not correspond to that advocacy, but in Easter celebrations in the city, it is this Virgin the one who appears on the Good Friday's procession, devoid of her son and representing this way the Solitude of the virgin. 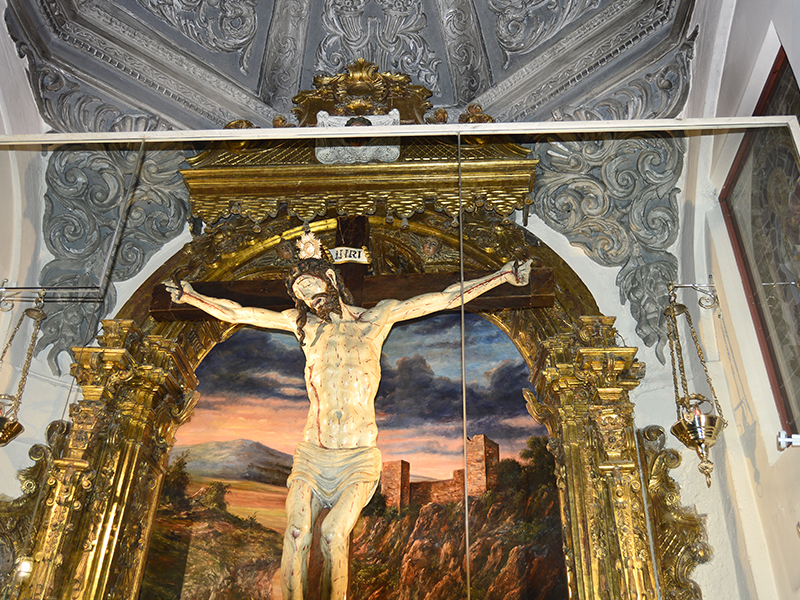 In addition, on Maundy Thursday night, together with the image of the "Cristo del Humilladero", is the unquestionable protagonist of the intimate and greatly devotional Procession of Silence. Nowadays, the Hermitage and the images on inside it count with great devotion among locals, being this place the one in which the Monday of San Juan's festivity, also called of God's Mother, the Solemn mass is celebrated, the only official religious act of the Festivities. It is a simple building of one nave , with pentagonal apse and small lateral chapels. The portico includes three big round arches, supported by four robust and raised pilasters, able to act as the frontispiece of a bigger church. 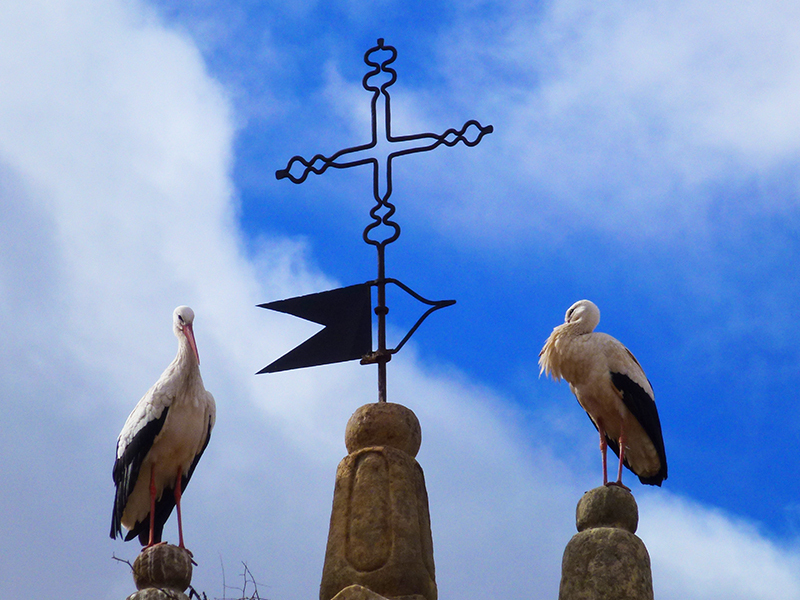 On the lintel of the 18th century bell tower we can see the shield of the brotherhood who built it and current symbol the Santo entierro de cristo brotherhood (The entombment of Christ Brotherhood) and former Vera Cruz brotherhood. It has a pentagonal apse and small lateral chapels, on a translateral one we can see an image of El humilladero Christ, of the castilian school of the end of the 16th century, a style that reminds us of Juan de Juni, a beautiful carving of singular anatomic production with a very realistic pain expression on Christ's face. 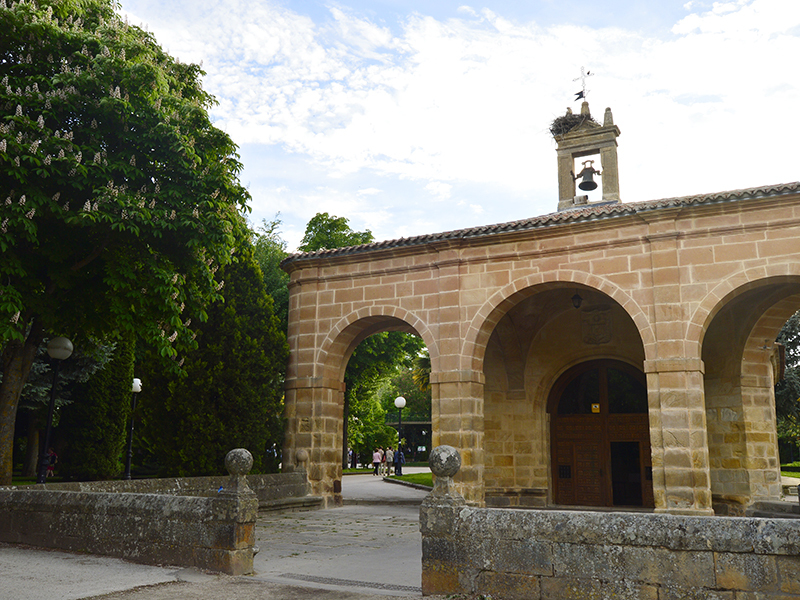 In this chapel we can also find a painting of the sorian village of Calatañazor with its walls and the field on which the moor Almanzor was defeated. 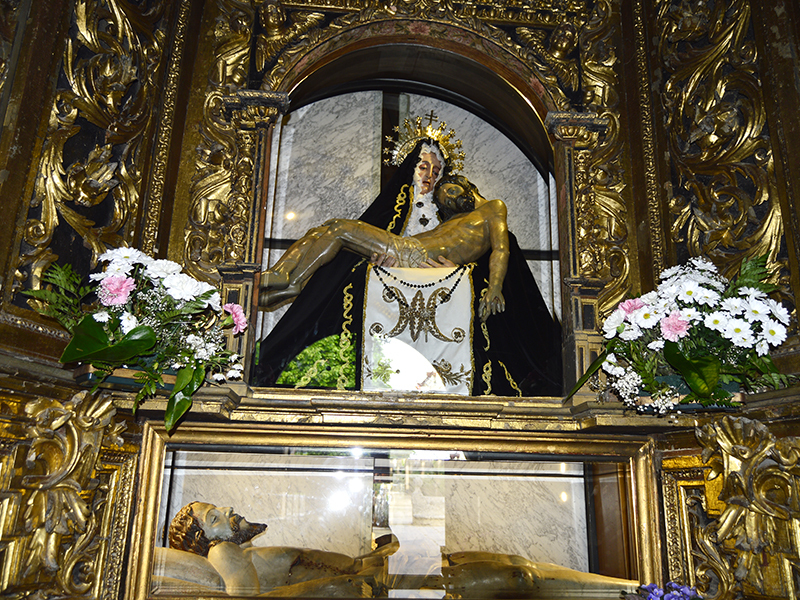 On the head of the new part, there is a Virgin of la Soledad of the 16th century holding the body of her death son already down from the Cross. 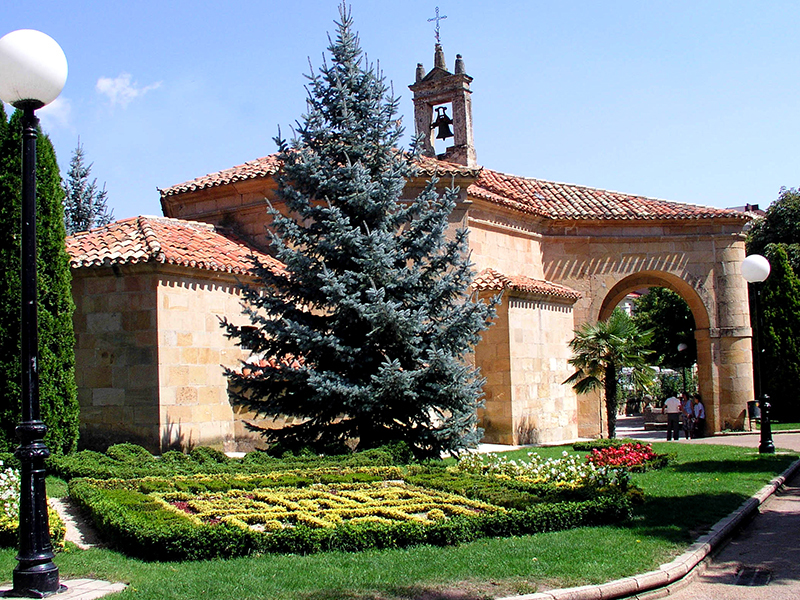 You can also admire the Holy Sepulchre or Dead Christ, that Condes de Gómara brought, together with the Virging's carving, and al old Hermitage in Los Royales field. Monday through Sunday: 10:00 to 19:00 h.